- 2 x 240ml/ 8 fl.oz. 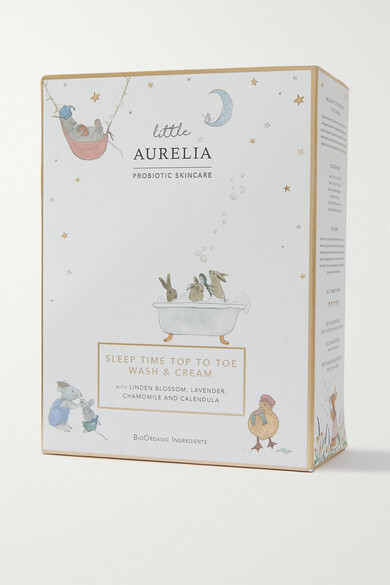 Relax and soothe your little one before bed with Aurelia Probiotic Skincare's award-winning 'Sleep Time Top To Toe Wash & Cream' duo. Use the wash at bath time to gently cleanse and maintain skin's natural balance with a mix of Coconut Oil, Aloe Vera, Oat Extract and Calendula. The rich cream is blended with nourishing Shea Butter, Lavender and Meadowsweet Extract, and melts effortlessly into delicate skin.